Whether you’re a seasoned pro looking for just the right controls or are looking to get started with the right USB MIDI controller, the Keystation MK3 series are simple, powerful MIDI controllers designed for sequencing music and playing virtual instruments on your Mac or PC. 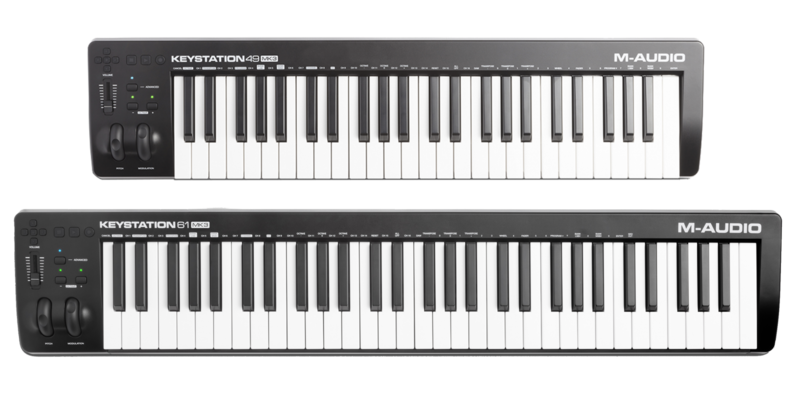 This article answers some popular questions about the features and functionality of the M-Audio Keystation 49 and 61 MK3. The Keystation 49 and 61 MK3 is a class-compliant device, meaning that it is plug-and-play and does not require any drivers to be installed. This also means that it will work and is supported on virtually all current Mac and Windows operating systems, including Mac OS X 10.14 and Windows 10. Yes! To use the Keystation MK3 with your iOS device, connect it to your iPad or iPhone using the iPad Camera Connection Kit (sold separately) which enables you to perform and compose with audio apps on your iPad and other iOS devices. Be sure to find the correct lightning or 30-pin adapter type to match your iOS device.